Recently, I’ve been thinking about bleu cheese. This naturally leads me to bleu cheese dressing. 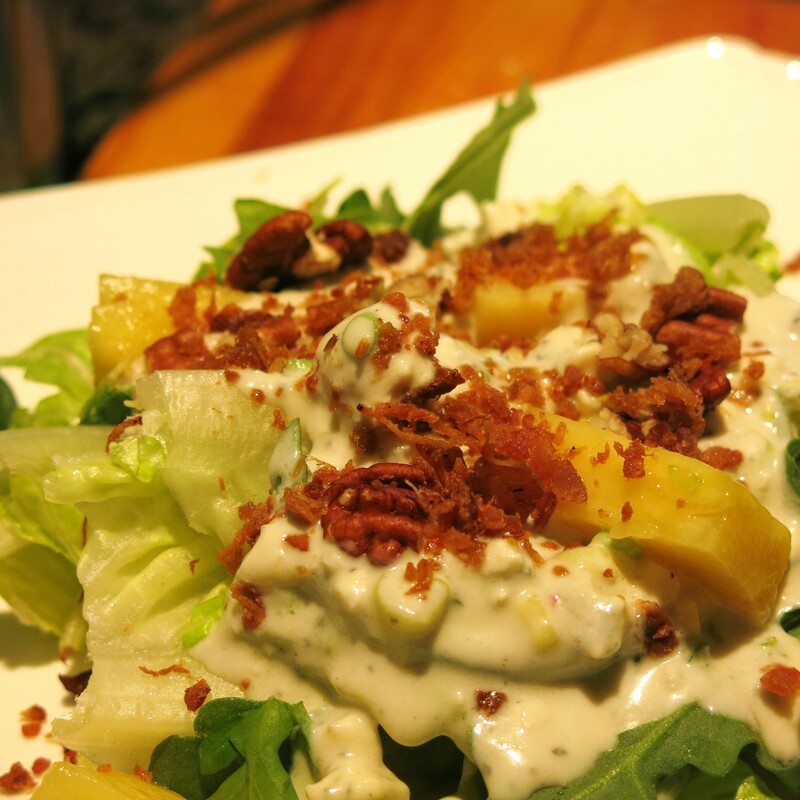 Don’t you love bleu cheese and bleu cheese dressing? You know, the really chunky kind. You can certainly buy it, but making your own is fun and you can choose how much bleu cheese you use. And you’ll want to use a lot. This is a very simple dressing. When you make this, it will be very thick, but it becomes thinner, as it stands. I’m not quite certain why. It could be that the yogurt and buttermilk break down a bit, and liquid comes out of the onions and such, in the presence of all that acid. But it does become thinner. Maybe using full-fat mayo might fix this. 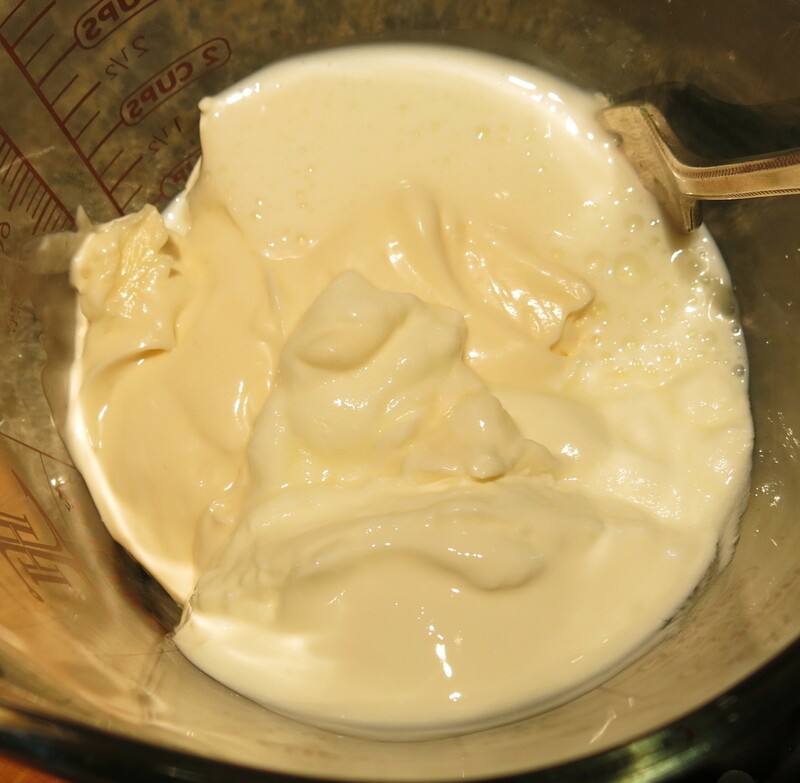 If anyone knows how to fix this, other than using a stabilizer like xanthan gum or full-fat mayo, please do share. NOTE: After I wrote this post, I drained the Greek yogurt when I made the dressing again. Yes, we plowed through the first batch in nothing flat. Anyway, that helped, so that’s something to think about. Next time, maybe I’ll just use the drained Greek yogurt and no buttermilk…I’ll keep you posted. This dressing uses buttermilk. That’s right, you’re going to have to buy buttermilk. I just don’t think this tastes as good if you use regular milk. Besides, buttermilk keeps well and is great to use to make sour cream cornbread or perfect pancakes. After all, blueberries are coming into season soon and they are great in both of these lovely, delicious options. I added garlic scapes. They are in season right now and for only about 2-3 weeks. They are wonderful, so get some if you can. 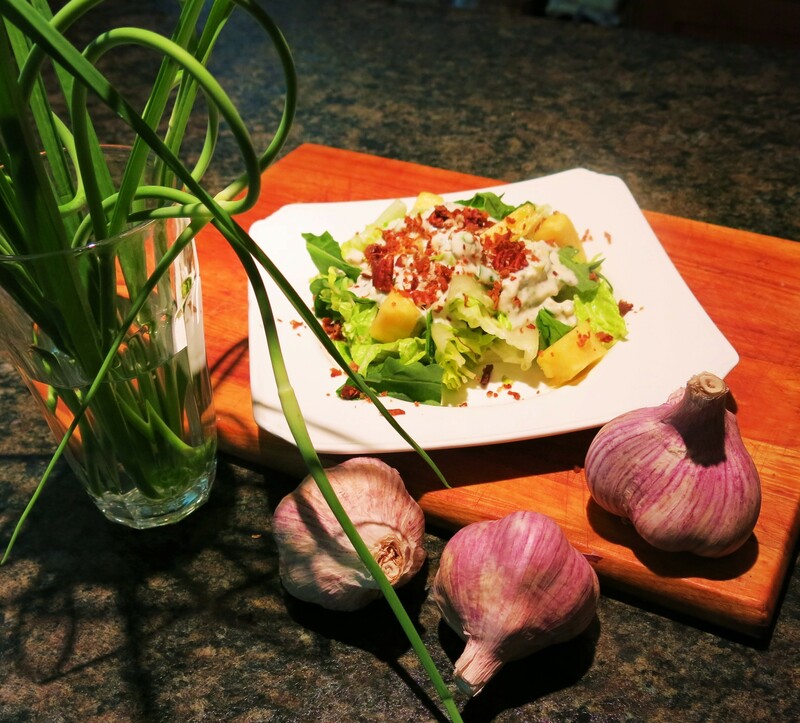 They are slightly milder than garlic, but still have a fresh grassy, garlic-y taste. They’re yummy and versatile. That’s the dark green “rings”, on the left side, that look like a cross between chives and scallions, which are on the upper right. At other times, I use chives and/or scallions and sometimes I even toss in a little fresh dill weed. Feel free to add some red pepper flakes or hot sauce, if that floats your boat. Again, this recipe, like most recipes, is a guideline. Prepare things the way you and your family like them. Make it your own. 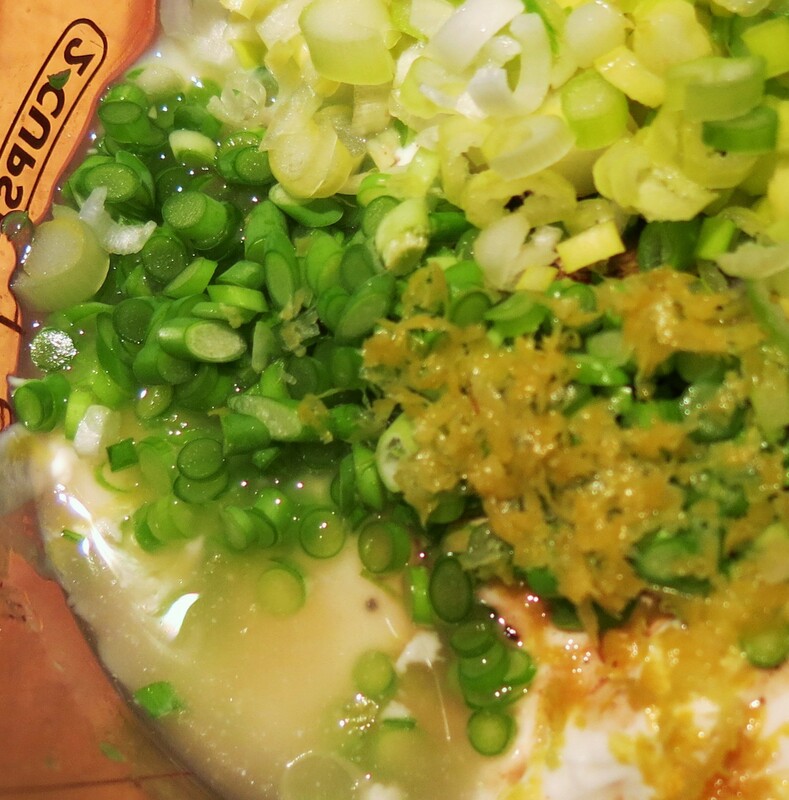 In a bowl, combine the mayonnaise, yogurt, buttermilk, vinegar, olive oil, and lemon zest and juice. Stir until well mixed. 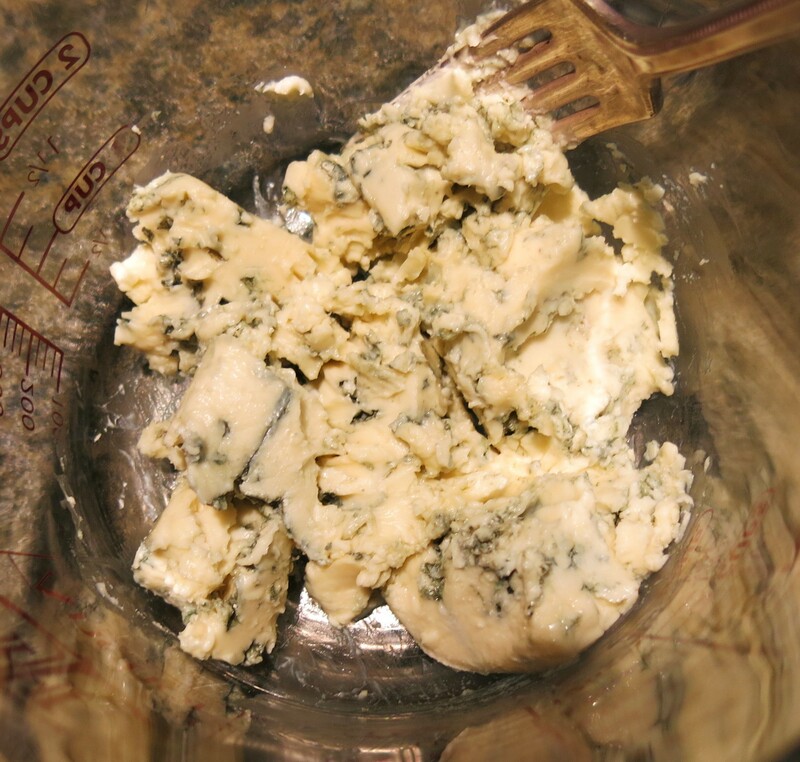 Add the remaining ingredients to the bowl, including the blue cheese. Fold to combine, and season with lots of freshly ground pepper. Taste for seasoning, adjusting the buttermilk and vinegar as desired. Chill for at least 12 hours. This tends to be a very thick dressing. Keeps for at least 1 week in the refrigerator. NOTE: This is excellent on baked potatoes, instead of sour cream. You may add 1/4 teaspoon ground celery seed, if you wish. 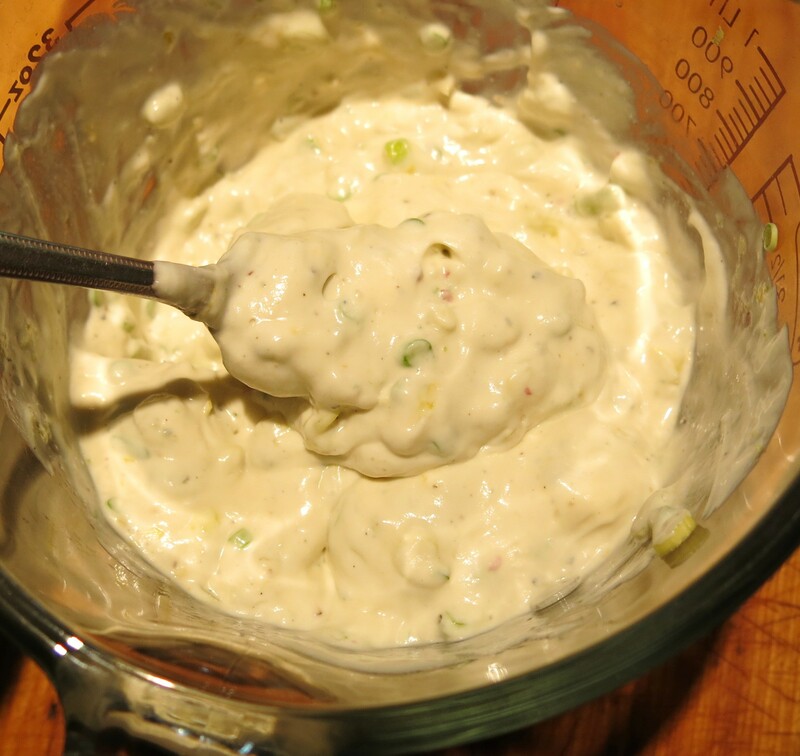 This is not a sweet dressing, but if that’s your preference, add 1 or 2 teaspoons sugar, honey or maple syrup. The Little Bleu Dress-ing Recipe©Marcia Lahens 2015. All rights reserved. This more or less makes itself. A couple of things, I prefer to use yogurt instead of sour cream, because sour cream is “sweeter” than yogurt. I prefer a sharper dressing, but that’s up to you. I also, use low-fat mayonnaise and add a couple of tablespoons of olive oil. I know that seems stupid, and let’s face it The Goddess isn’t always hitting on all cylinders, but you’ll have to trust me that this is a good thing. If you want to use full-fat mayonnaise, do so. It will be just that much better and it might tend to stay thicker. Now to the most important part, bleu cheese. The key is finding a good, sharp bleu cheese, because I think this dressing needs a sharper bleu. There are all sorts of options and bleu cheese, like most cheese, is regional, as well. So if there’s a bleu cheese you prefer, use it. I love Maytag bleu cheese, but I usually don’t use it for this, as it is expensive and I want to taste all the little nuances it offers and not have them obliterated by other flavors. Therefore, I use a less expensive variety here, for at least part of the bleu cheese, and save my pennies to spend on the more expensive one when I’m going to just eat it all by itself….or by myself. I prefer to buy a chunk; I think the chunk has more flavor than the pre-crumbled stuff. Could be my imagination…. You may have also noticed, I love to experiment with flavors, using them in ways that maybe aren’t quite mainstream…yet! 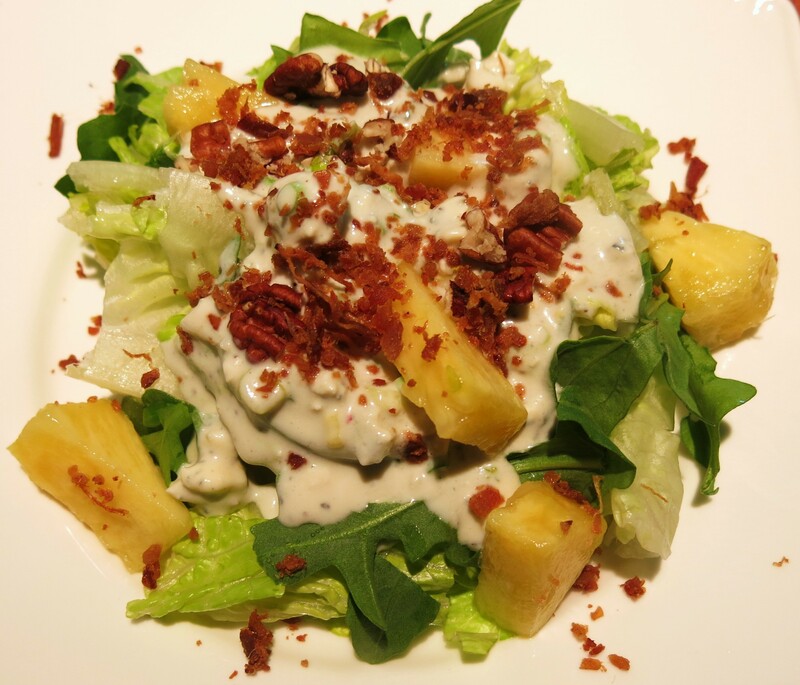 Now go buy a head of iceberg lettuce, and if you’re feeling like a little hop on the wild side, add some pineapple chunks, some coarsely chopped, toasted pecans and bacon bits.